Visit NC Smokies invites you to gather in Maggie Valley, Waynesville, Lake Junaluska, Canton and Clyde. We provide unique and authentic mountain experiences in Haywood County. 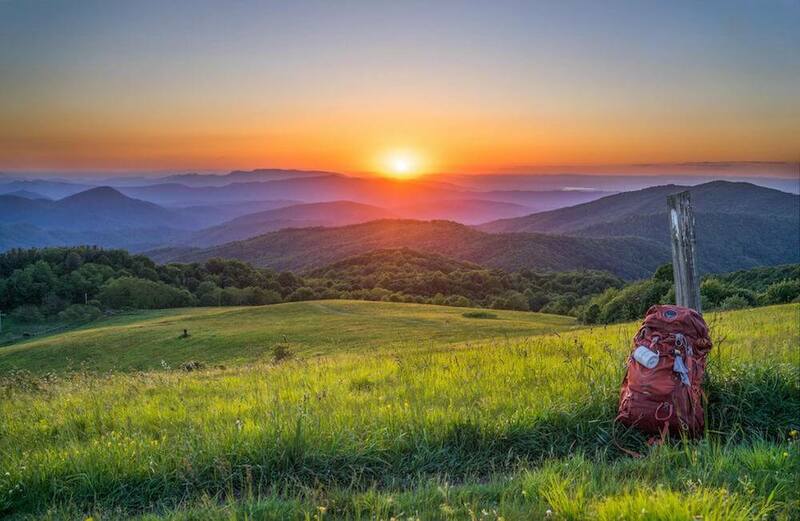 We are known for our 46 scenic miles of the Blue Ridge Parkway and access to the Great Smoky Mountains. If you are looking to sip some local moonshine or hear the rumble of a vintage motorcycle, Maggie Valley is the place for you. 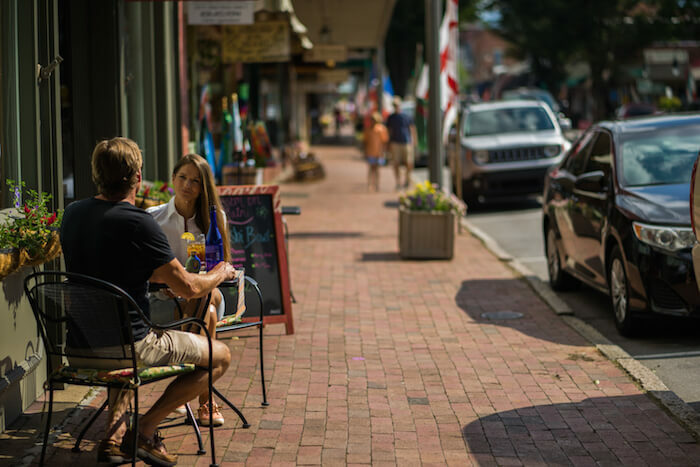 Waynesville offers plenty of shopping and dining on Main Street, while the HART Theatre offers live shows year-round. Haywood County is conveniently located between the Tennessee border and Asheville, North Carolina. We are an easy lunch stop or affordable overnight stay located just off Interstate 40. Visit NC Smokies provides groups the perfect hub -and-spoke opportunity with quick access to regional attractions. We look forward to providing your group that unique and authentic experience they deserve, said Ben Wilder, Tourism Development Manager at Visit NC Smokies. 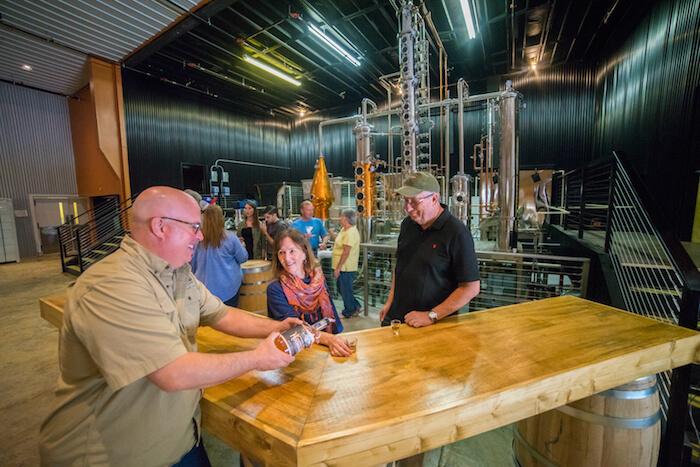 Elevated Mountain Distilling Company, Maggie Valley, N.C.
Elevated Mountain Distilling Company is a craft distiller of top-shelf whiskeys and spirits based in Maggie Valley, NC. The name, Elevated Mountain, reflects the fact that Haywood County has the highest average elevation (3,597 ft.) of any county east of the Rockies. Due to our high elevation, all our natural water originates within Haywood County. Sampling the small batch moonshines Shinning Rock Peach Pie and Root Beer White Lightning are a must. Wheels Through Time Museum is home to the worlds premier collection of rare American motorcycles, memorabilia and a distinct array of unique one-off American automobiles. 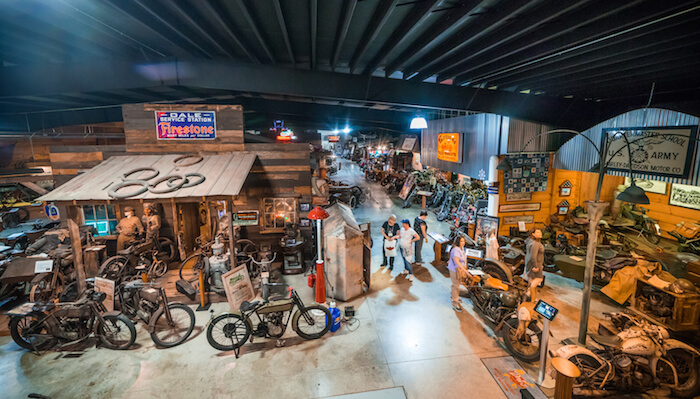 Located just 5 miles off the Blue Ridge Parkway in Maggie Valley, North Carolina our museum houses a collection of over 300 rare machines in 38,000-square-foot facility. The collection was started by Museum Founder Dale Walksler. 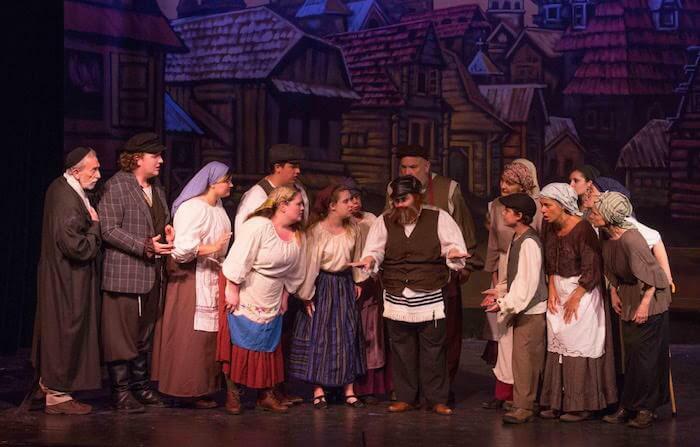 Nestled in the shadow of Cold Mountain in Waynesville, North Carolina, The HART Theatre, founded in 1985, is a semi-professional community theatre showcasing the talents of the people of the region and beyond. The theatre sits on an 8-acre National Historic site owned by the Shelton House Museum, which encompasses Western North Carolina history, heritage and crafts. The HART Theatre offers year-round entertainment. Downtown Waynesville is a charming and vibrant small town nestled in the Great Smoky Mountains of North Carolina with the Blue Ridge Parkway as a backdrop. This award- winning Main Street boast plenty of unique shopping, dining and entertainment options. Groups love taking free time to explore places like the Mast General Store, Twig & Leaves Gallery and BooJum Brewing Company. Waynesville is located just 10 minutes off Interstate 40 and 30 minutes from Asheville.